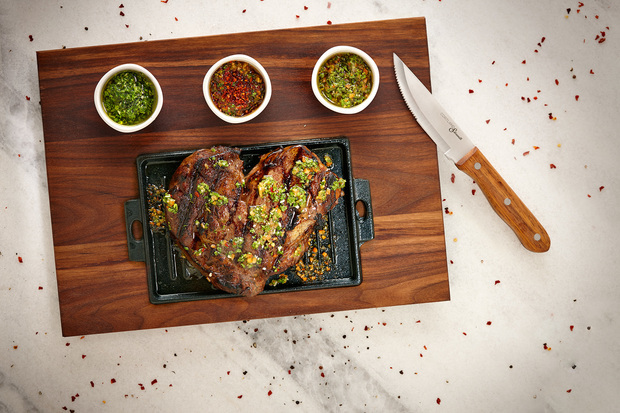 LINCOLN SQUARE — Sometimes eating is just about putting food in your stomach, sometimes it's about something more. Diners are welcome to order a steak and a cocktail at Artango Bar & Steakhouse, which just opened at 4767 N. Lincoln Ave., and call it a day. Or they can be moved by the complete cultural experience of music, dance and art. 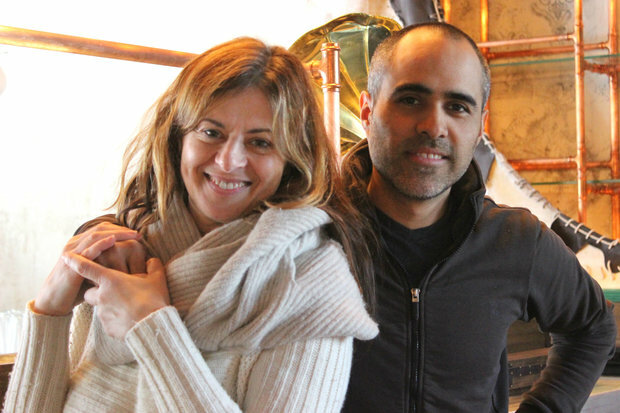 "I want to create something inside of people," said Sebastian Casanova, co-owner of Artango with his wife of seven years, Maria Alferov. "We need to stimulate our souls. My first mission is that people leave happy." 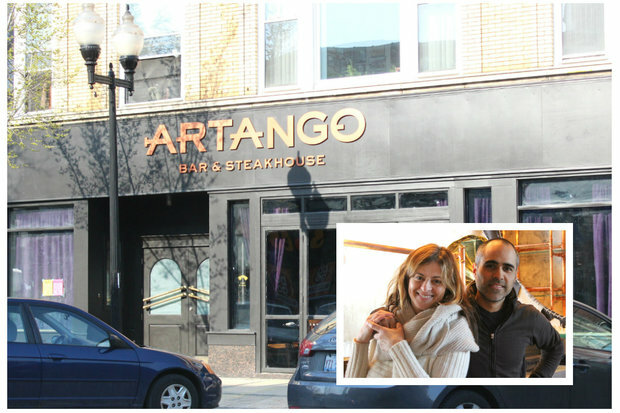 The steakhouse is version 2.0 of Artango, a giant leap forward from the bistro/tango studio the couple ran for two years at 4217 N. Ravenswood Ave.
"We want more visibility," Alferov said. "We love Ravenswood, but we want more." 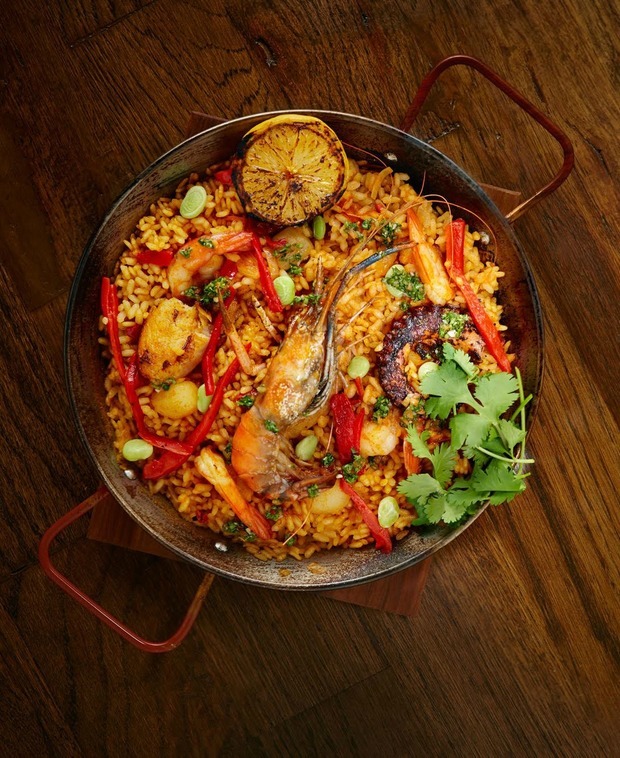 Favorite dishes from the bistro incarnation have made the trip to Lincoln Avenue, but the couple have also beefed up the menu, literally, to more strongly reflect the cuisine of Argentina, Casanova's homeland. Dudley Nieto (who most recently worked his magic at Albany Park's Rojo Gusano) and Fred Ramos from Labriola have teamed up in the kitchen to craft a new slate of offerings that combine Argentina's Latin, European and Asian influences — ceviche is side-by-side with steaks, cured meats and sausage. "They knew what they wanted from day one," Nieto said of the direction he received from Casanova and Alferov, who is herself a cooking school grad. "We spent seven months working on each item closely," Alferov said. 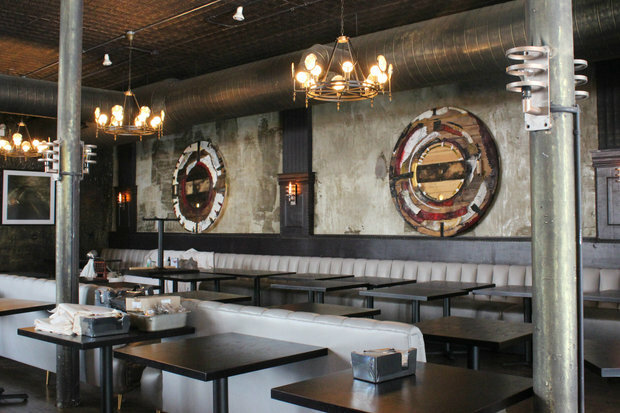 The seating is more than double the bistro's; BYOB is out and a full bar is in. Given that Alferov and Casanova met at a tango class — she was the instructor and he was a student — there is most certainly room for dancing and live music. For the expressive Alferov, who grew up in Ukraine, where ballroom dance is a competitive sport, tango is almost like meditating. "You're exchanging energy on a level you don't understand," she said. "It's very intense." Tango and Argentina won her heart during a trip to the South American country's capital long before she met Casanova, an artist. "When you go to Buenos Aires, it looks like Paris," said Alferov, who's lived in Chicago since 1995. "It's so magnificent, I just fell in love. I thought, 'I'm going to marry an Argentinian man.' When he [Sebastian] showed up, I think, 'That one.'" Artango's expansive interior — "You walk in and, 'Wow, it's big,'" Alferov said — is completely unrecognizable from its previous life as Trattoria Trullo. Walls were knocked down to open up the space and create a continuous flow and the overall design is intended to evoke the elegant atmosphere of Buenos Aires during the 1920s and '30s, Alferov said. 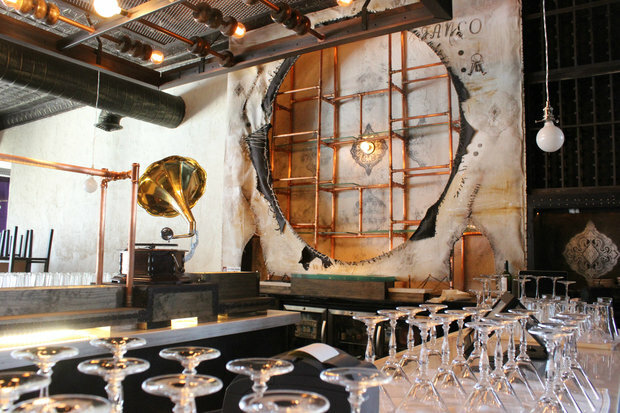 Casanova's handiwork can be seen in every nook and cranny, from the antique metallic effect he created on the ceiling and pipes to the prominent background he created for the bar, which resembles cowhide. The analogy, he said, is of diners existing in one of his paintings, as conceived in his mind, "like they're dancing in my brain."